The former managing director of UTV in Northern Ireland, Michael Wilson, has joined the Isle of Man’s media development agency as chief executive officer (CEO). 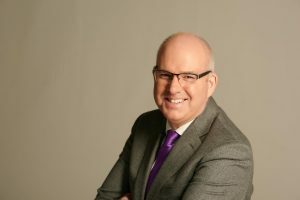 Wilson joins Isle of Media after having spent more than 10 years at UTV – the operator of the ITV licence for Northern Ireland – first as head of television and then as managing director. He left the broadcaster last year. In his new role Wilson will aim to develop industry links and encourage businesses across the whole supply chain of content creation, distribution and commissioning to look at the Isle of Man as “an ideal location to grow”. He replaces former Isle of Media CEO Stuart Semark, who was a special advisor on broadcast media to the Isle of Man Department of Economic Development before co-founding Isle of Media in 2016. “The Island is uniquely positioned as Europe’s only offshore digital media cluster as it is blessed not only as a picturesque filming location and its own culture but with substantial advantages of a wide creative and techy talent base in film, video and IT, an extraordinary telecommunication infrastructure, financial incentive schemes and a digital media sector inclined government,” said Wilson. Richard Arning, chairman of Isle of Media, said: “Michael, who is a very senior figurehead in industry, will further strengthen our offering, benefiting media entrepreneurs and investors. Wilson joined UTV in 2005 and before that held senior news positions at UK broadcasters Channel 5 and Sky. The Isle of Media was launched to assist ventures looking to set up business on the Isle of Man. It aims to attract digital media, broadcast TV, OTT, video production, VR and AR, distribution, film, eSports and animation businesses.